Why seven performances instead of ten? Well, Chicago Classical Review was not around for the first four months of 2009, and any year-end list by definition is going to be incomplete. So, feel free to augment the following list of Chicago’s best classical performances from May through December with your own favorite events of 2009, as well as to agree or disagree with my choices. Note: The original reviews of all the performances are available on the website; just use the search box to the upper right. It’s cheating a bit to give the top spot to a series of concerts rather than a single event, but the CSO’s three-week, musically packed Dvorak Festival in June takes first place as an across-the-board success on every level. Under the vital, idiomatic leadership of Sir Mark Elder, we heard terrific performances of many Dvorak favorites and several choice rarities, as well as impressive CSO debuts by violinist Janine Jansen and cellist Alisa Weilerstein. What can one say that hasn’t been said? The turn-on-a-dime precision and burnished brilliance of the Berlin musicians in November was as remarkable as ever, and, under the leadership of Sir Simon Rattle, the ensemble seems to be entering a new golden age. It looked promising on paper with Rene Pape in his local role debut as Mephistopheles, and the first Lyric appearance by fast-rising Polish tenor Piotr Beczala. Yet the Lyric’s revival of the Frank Corsaro-Robert Perdziola production made for a surprisingly searing night in the Civic Opera House, spotlighted by Ana Maria Martinez’s take-no-prisoners performance as Marguerite, and loving yet incisive music direction by Sir Andrew Davis. 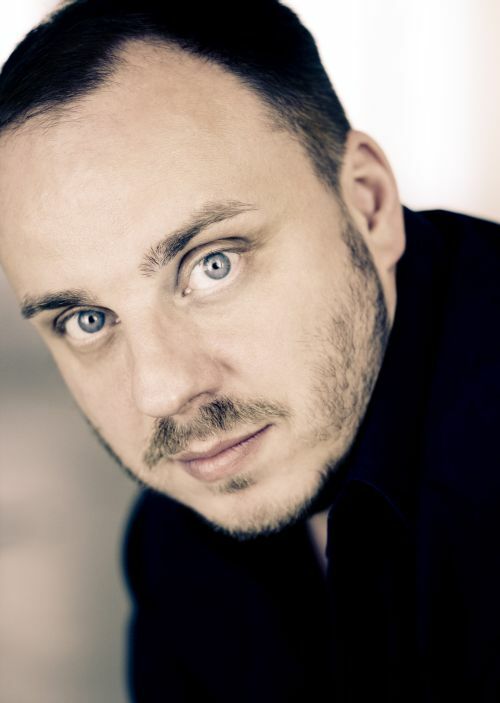 Matthias Goerne’s skill in lieder is a known quantity but that still left one unprepared for his full-metal account of Die schone Mullerin in July, the first night of his complete survey of the Schubert song cycles at Ravinia. The German baritone brought each of the songs to life with an actor’s stage craft and the dramatic range and expressive intensity of his singing in Mullerin were unforgettable, with pianist Christoph Eschenbach lending equally insightful support. Of his two fall programs, many were taken with Riccardo Muti’s Brahms’ Requiem, but, for me, it was the music director designate’s first week of Mozart and Bruckner that provided the most memorable performances. Rarely will one will hear Bruckner’s Symphony No. 2 (or any Bruckner, for that matter) performed with such balletic lightness and Haydnesque charm, without shorting the drama and brassy brilliance. Muti’s take on Mozart’s Haffner Symphony was just as distinctive—refined, quicksilver, and delightfully Viennese. One could have named almost any Grant Park program led by Carlos Kalmar this summer to the list. The festival’s music director has built the Grant Park Orchestra into a first-class ensemble, with consistent playing on short rehearsal time, and, likewise, on the podium Kalmar never seems to have an off night. Kalmar, chorus director Christopher Bell and festival officials deserve great credit for daring to put on such an epic and bizarre work as Shostakovich’s The Song of the Forests, and pull it off so brilliantly. Even with its execrable texts and noxious party tub-thumping, Forests has much worthy music and made an unexpectedly rousing evening with its uninhibited scoring for large orchestra, massive chorus, and soloists. The first half of the program was on the same level with a crackling performance of Bernstein’s On the Waterfront. Joseph Haydn remains the most infrequently performed of the great composers, and Nicholas Kraemer’s delightful performances with Music of the Baroque in May provided a virtual seminar in bringing out the witty curveballs and subversive humor of this inexplicably under-programmed master. Bernard Haitink’s youthful and spirited account of Mendelssohn’s complete incidental music for A Midsummer Night’s Dream with the CSO; Verdi’s Ernani at the Lyric Opera; the Pacifica Quartet’s extraordinary performance of Crumb’s Black Angels at Mandel Hall; No Exit, Andy Vores’ compelling chamber opera take on Sarte, presented by Chicago Opera Vanguard; Hans Graf’s Bruckner 4 at Grant Park; Guitarist John Scofield and his band with the CSO in Mark-Anthony Turnage’s genre-blasting Scorched; Violinist Christian Tetzlaff’s Bach marathon; vocal recitals by Susan Graham and Thomas Hampson at Ravinia; Carlos Kalmar’s American program, Elgar’s Dream of Gerontius, and Mahler 9 with the Grant Park Orchestra. The CSO board, benefactors, and all of the staff who contributed to making the Dvorak Festival such a resounding artistic and popular success. The installation of massive, intrusive video screens at Ravinia, which makes every pavilion audience member an involuntary participant in instant MTV-video relay, while pushing the music into the background and making serious listening an exhausting exercise in blocking out unwonted visual stimuli. Kathleen Battle’s search-and-destroy mission for cameras and videographers at the Harris Theater during her Christmas concert. A note of thanks and much gratitude to my colleagues and regular contributors—Wynne Delacoma, Bryant Manning, Dennis Polkow and Gerry Fisher—whose superb writing and incisive criticism have helped establish Chicago Classical Review as a destination for informed, intelligent, and stylish music journalism. Merry Christmas, happy holidays and a healthy and prosperous 2010 to all. Liked the screens at Ravinia; like seeing the performers close up. Brahms Requiem with CSO and chorus was also a great performance. A fine list indeed. I would only add one of the most exciting events I have ever experienced in Orchestra Hall: the April concert by Simón Bolívar Youth Orchestra of Venezuela lead by Gustavo Dudamel. For those that say classical music is losing its relevance to today’s youth – hope lies to the South. 1.) The continuation (for now) of the International Music Foundation’s weekly Dame Myra Hess Memorial Concerts at the Chicago Cultural Center after the lost of corporate sponsorship in 2009. 2.) The welcome appearance of Chicago Classical Review on the music scene! Conrad Tao in his piano recital at Ravinia Martin Theater. Dmitry Hvorostovsky at the same venue. Both outstanding.